It’s the end of the week. And the end of the month! That’s a lot of endings, which hopefully paves the way for an equal number of beginnings. Time to begin… some games! I’m on the cusp of an extended vacation, during which time I’m sure I will miss you all terribly. 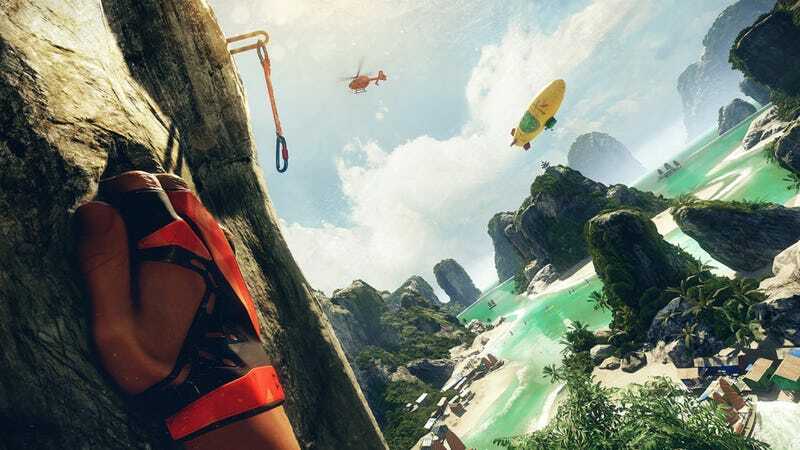 I’m going to be traveling this weekend but if I weren’t traveling, here’s what I’d be playing: I really want to spend some time with the new VR game The Climb, which just came out for Oculus Rift and is apparently very cool. As Riley and I discussed earlier this week, I’m falling ever more in love with Hitman 6: This Time It’s Hitman, and want to find a bunch of new ways to kill the targets in the new Italian Villa level. I’m about to beat the last couple bosses in Dark Souls 3, though last night I actually rolled a new character in Bloodborne and I believe that once I finish Dark Souls I will actually replay that game in order to play the DLC without having to tackle it on NG+. There’s also more The Banner Saga 2, which I’ve liked from the small amount I’ve played. For one last Friday before I’m gone for a while, tell me: What are you playing this weekend?